Accent are a versatile musical duo who can perform to any audience with their wide repertoire of songs from every era of music. Whether you need an energetic party mood, a cocktail duo or even a Caribbean themed night, Accent is the perfect choice. 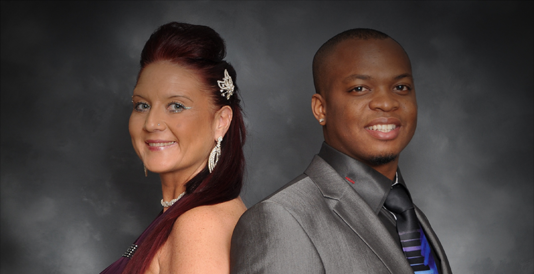 They have performed in the UK, St Lucia and Barbados and were recently booked on the QM2 on her maiden world cruise. Accent features Sue Grosvenor on vocals and Wendel Daniel on bass and percussion. They combine their talents to produce a dynamic and varied musical package!